With iTGAC a product fam­ily is provided for dynami­cally motion analysis that covers ap­pli­cations which require a medium accu­racy and a simple using. iTGAC-FC is a triaxial gy­ro cube with three orthogonal mounted rugged fi­ber op­tical gy­roscopes and three MEMS-ac­cel­erome­ters with analog out­put. The iTGAC-FC will be deliv­ered with a calibration sheet containing the polyno­mial co­effi­cients for a user-operated exter­nal correc­tion at room tem­pera­tue for in­dustrial applications like camera stabili­sation, machine guidance or automotive test­ing. 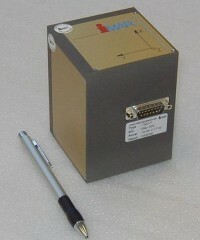 The iTGAC-FOSA is a similar product, but with more accurate servo accelerometers.